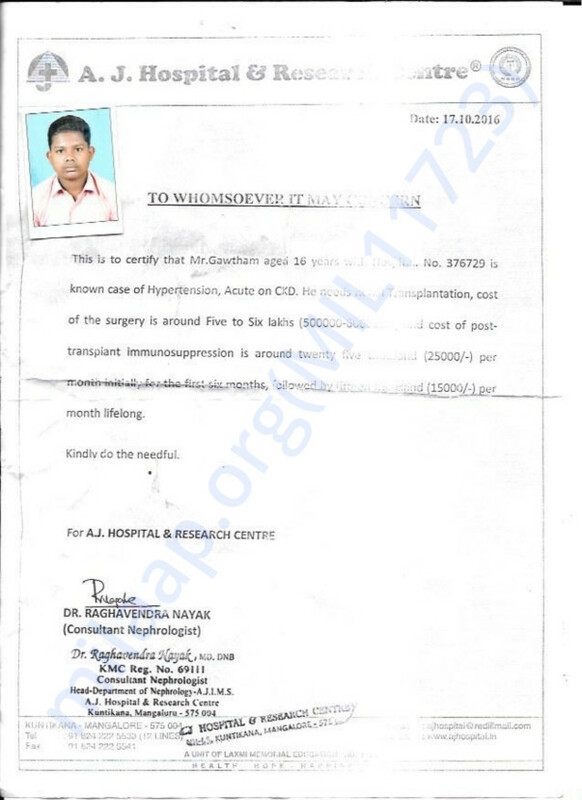 A young, brilliant 12th Standard student, Mr. Gawtham aged 16 years is suffering from Acute on Chronic Kidney Disease and needs Renal Transplantation (kidney transplant).The doctors at the A.J. 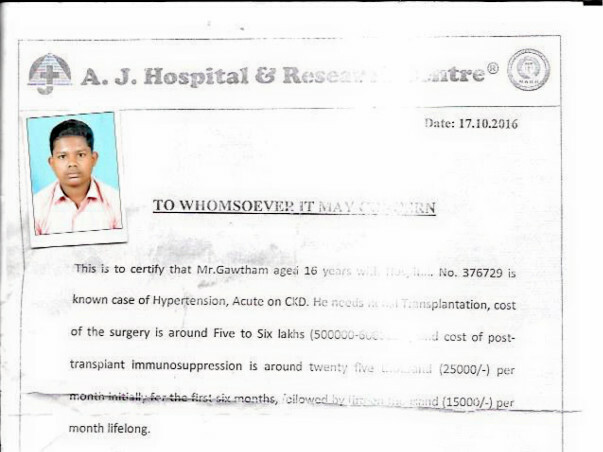 Hospital & Research Centre have been kind enough to waive their surgery fees and Gawtham’s father is donating his kidney. Despite this, the costs of the surgery and treatment is Rs. 10 lakhs. 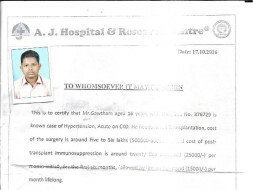 It is painful to see Gawtham suffer medically as well as financially. I along with my friends have therefore decided to appeal to all our friends and well-wishers to contribute in whatsoever manner to ensure that a young boy gets an opportunity to live a meaningful life. Your contributions both big and small shall be highly appreciated by us as well as Gawtham’s family. We shall keep you updated about Gawtham’s progress at regular intervals.